The signs at the junction of U.S. 23 and Hills-Miller Road say that the road will re-open Monday, July 31. 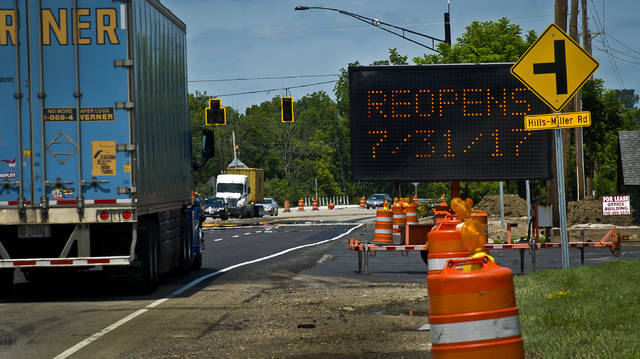 The estimated completion date had been July 20, but weather delayed the work, according to Speedway, which is upgrading the intersection as part of its new store project on U.S. 23 North. This entry was tagged delaware, Hills-Miller, Speedway. Bookmark the permalink.